Red is one of my favorite colors. Red pillows with white accents find a place on my sofa and side chairs. A seasonal wreath with red ribbon adds the finishing touch to the living room. The color red is even highlighted in my kitchen for the most festive time of year. 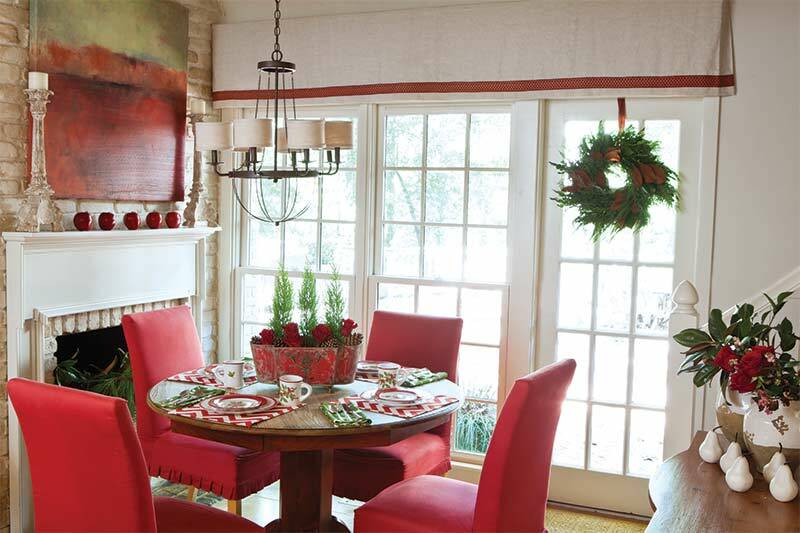 During the holiday season, I love to find new ways to add even more rich and beautiful reds throughout my home. I especially love the opportunity to incorporate fresh and unexpected inspirations for decorations. 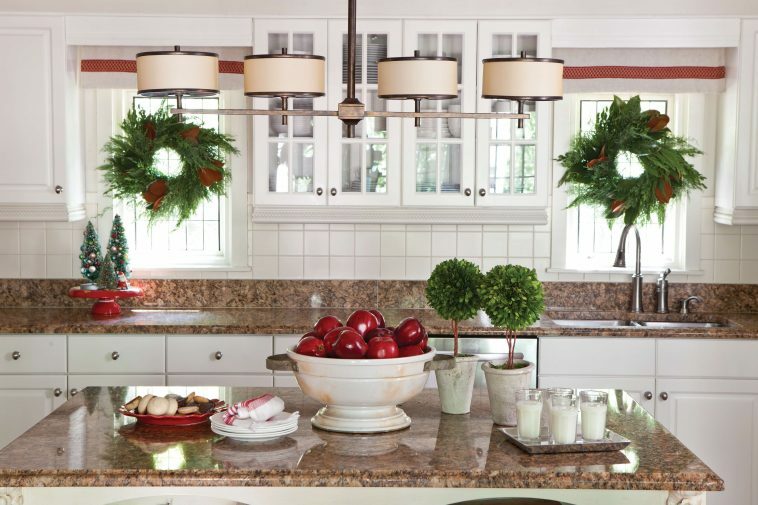 This year, I can’t get enough of the use of crisp, ruby red apples to liven my holiday décor. 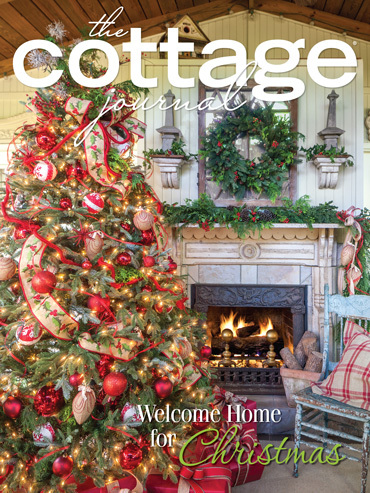 In The Cottage Journal’s Holiday issue, Catherine Gasque lined apples across her fireplace mantel. This simple addition of apples connects the painting on the wall to the boldly red tablescape. I think the additional placement of the large bowl of apples centering the light colored kitchen is especially charming! 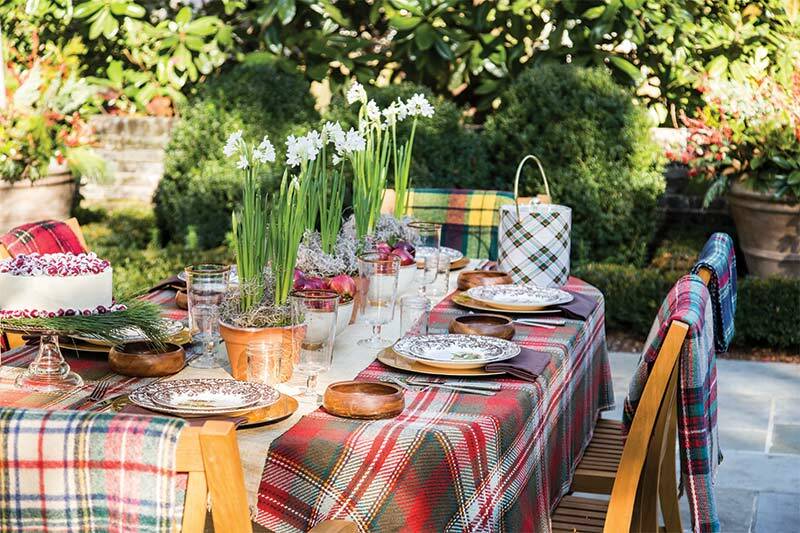 I love this cheerful outdoor table setting with traditional tartan blankets and a scarf runner. I wish it would cool down here in Birmingham so we could enjoy a set dinner like this one. The bowls of red apples are interspersed with terra-cotta pots of paperwhites as the centerpiece, while Spode Woodland china rests on gold chargers. 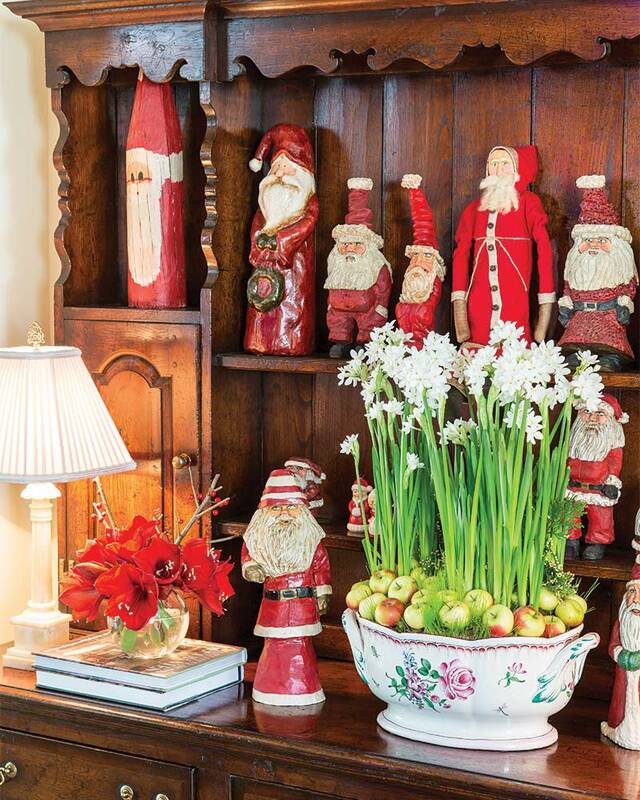 Paperwhites and apples are used together again as an impressive arrangement placed inside the house on an antique hutch. Holiday apple decorations aren’t just confined to the indoors either. Having a beautiful and historical Apple Wreath above your door is a great way to set the stage for the fantastic apple decorations inside. The rumor is that they started in Colonial Williamsburg, although there is no solid evidence to confirm it. They made a return in popularity at the beginning of the twentieth century. Most are made with a bed of greenery and have apples lining the inside and are completed with a pineapple in the center. They hang above the door as a sign of welcome. Sometimes people even go crazy with different fruits, creating a beautiful rainbow above their doors! While you start thinking about holiday décor, I hope you’ll consider a fresh addition to your traditional decorations! What is your fresh inspiration for this holiday season? So beautiful! I am still at Thanksgiving with my mind, but I know that Christmas is coming! Love the red, and apples, and tartan. Just gorgeous. Looking for a copy of the Cottage Journal, always a favorite. I absolutely love all the holiday colors – red, plaid, green, gold! 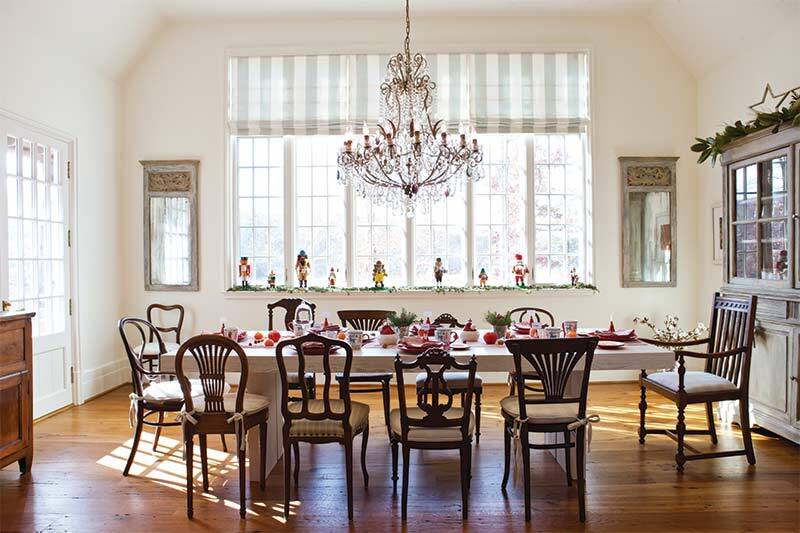 I have the Spode Christmas china and look forward each year to unpacking it the day after Thanksgiving. It makes every meal festive and does not get repacked until after the New Year. One can never go wrong!!! I think the hardest piece of decorating is arranging collections like your wooden Santas for maximum effect but not clutter – my Libra balance ruling me again! Love the red and all things plaid – I have the Lenox “Holiday” original pattern, so I love Stewart plaid, evergreens, and holly – and last year I even used black velvet ribbon on the tree! Are your boxwoods faux or real? Pretty, pretty everything you do!